The Examiner has taken notice of up-and-coming home security provider, SimpliSafe. In an industry where scams and pushy salesmen seem to dominate, it is refreshing to a see a home security provider trusted by Google and recommended by Fortune magazine, Fox News, Good Housekeeping, NBC, and the New York Times. But is the system too good to be true? Maybe not. 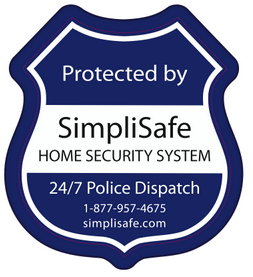 SimpliSafe offers home security systems that include the following: 20% off your homeowner insurance, 24/7 monitoring, free and easy install, mobile control, portable, power outage protection, smoke and fire detection and pet friendly just to name a few. In addition to proven equipment and technology, SimpliSafe is one of the very few companies that does not require a contract when signing up. Customers are required to pay for their equipment, which offsets the need for a contract. When a customer receives the SimpliSafe package, they will receive: an owner’s manual, one USB drive, one base station, a carbon monoxide sensor, a smoke detector, a power adapter cord, two motion sensors, two wireless keypads, one key chain remote, one freeze sensor, one water sensor, one panic button, four entry sensors, and a few other pieces of equipment. The products supposedly speak for themselves. Each piece of equipment is high quality, and there are no sneaky/hidden charges or fees. The Examiner also reported that the customer service department was nice, patient and accommodating. If for any reason a customer is not satisfied with their purchase of the SimpliSafe products, there is a 60-day money back guarantee. Customers just send all of the equipment back and there is no harm and no foul. There is also a guarantee on all SimpliSafe equipment for up to three years.